With sugar cube houses stacked along the coastline and the beautiful blue sea below, it's easy to see why Mykonos is one of the most photographed destinations in Greece. Known for sun holidays and excellent nightlife, there's still plenty of sightseeing in this stunning location. This well-kept ruin is known as the birthplace of Apollo, god of music and truth. 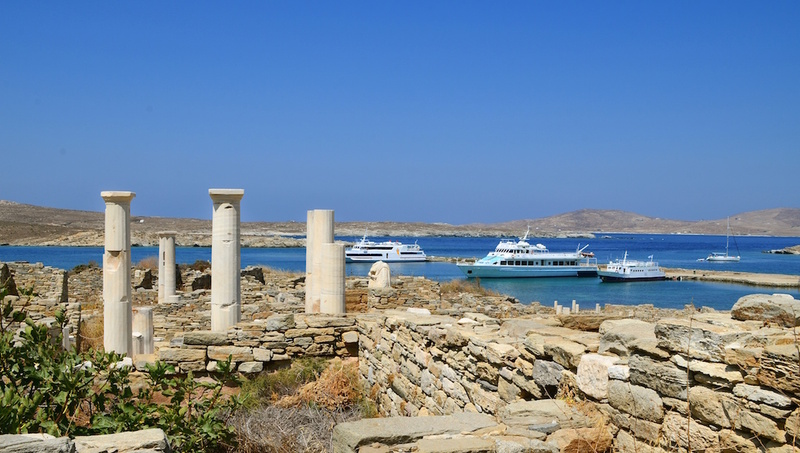 In summer, arrive early for tours around the site and to see the lion statues of Mykonos. There are plenty of cafes and restaurants here, so grab a table towards the end of the day to enjoy an amazing sunset. Look out for the Mykonos pelicans - an added attraction! This pretty winding street is the perfect shady place to pick up designer clothing and jewelry, as well as postcards, trinkets and souvenirs of your time in Mykonos. This Instagram-friendly Greek Orthodox church is typically unassuming, simple and painted bright white, with a domed roof. One of the best and most pretty buildings to see in Mykonos. High on the cliffs of Mykonos is this historic building, now a hotel and event venue. Here, you can enjoy views right across the bay, or take a yoga class at sunset. 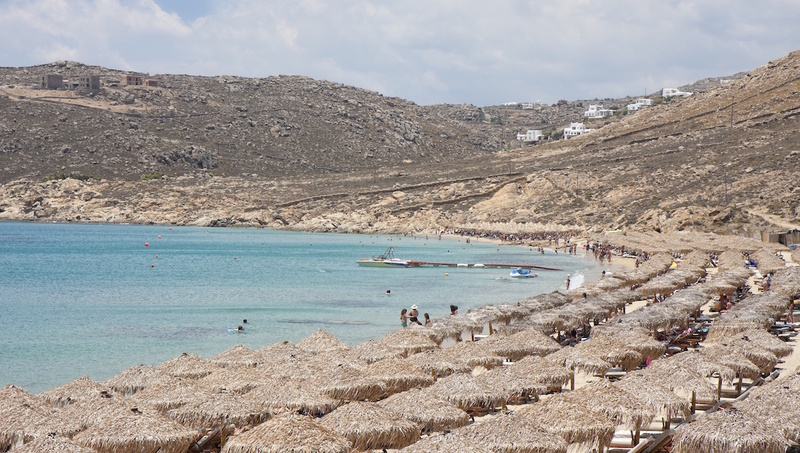 You'll pay €20 per day for two sun beds and a parasol on this popular beach with crystal clear waters. Eat at the great restaurant, or bring lunch with you to save a few Euros. 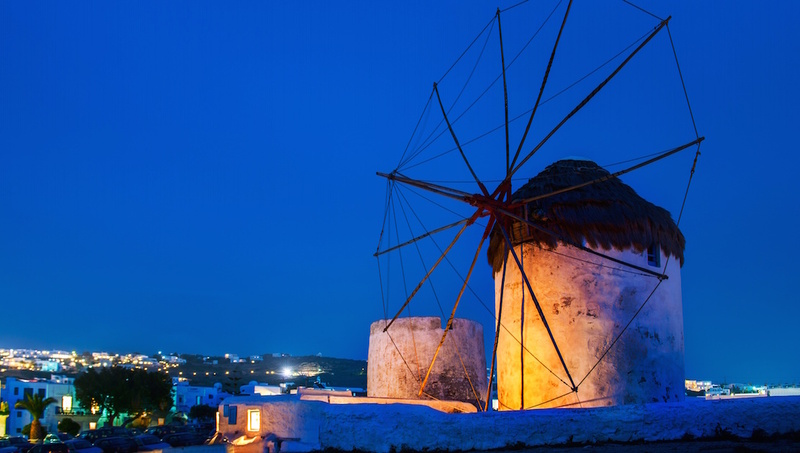 Visit this pretty Mykonos attraction for a slice of history. This site won't fill a day, but it's a nice walk from Little Venice so plan it into your tours of the area. 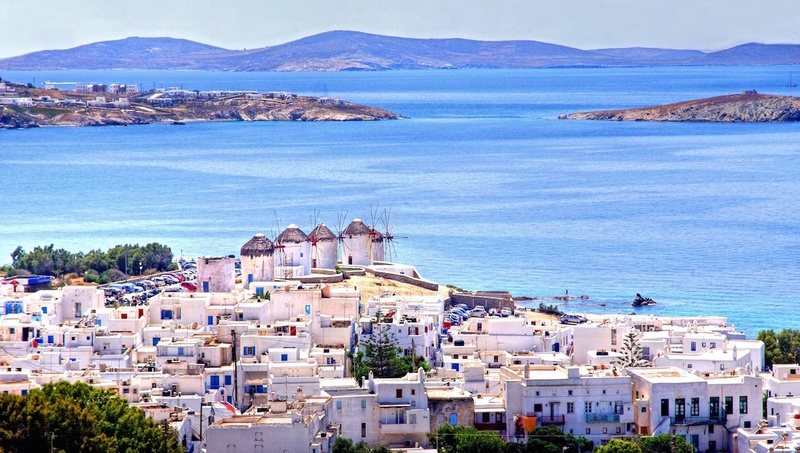 Mykonos, Greece, has been popular with the LGBT community of the world for generations. The town offers gay bars, hotels and even gay beaches. Follow the rainbow flag to the right side of Elia beach, or visit Agrari beach, which is 'clothing optional'. The beauty of visiting the Greek islands is the ease at which you can jump between them, taking in the different sights. 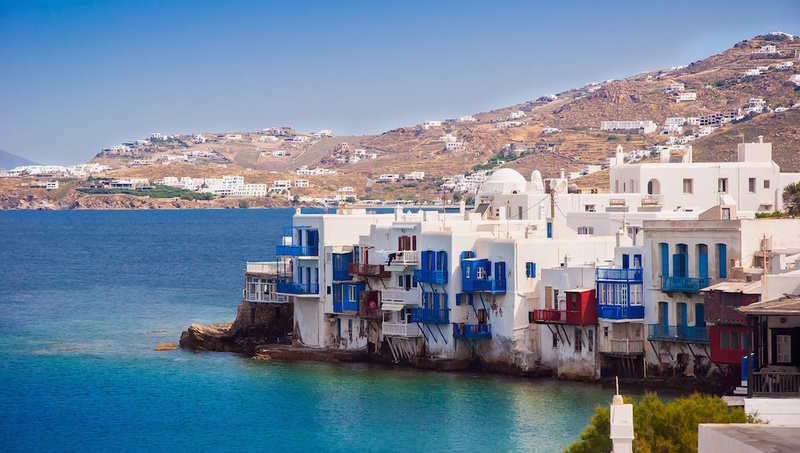 Catch a ferry from Mykonos to Naxos, Paros, Ios or Santorini to change up your holiday. Many of these destinations can also be reached with a day trip. 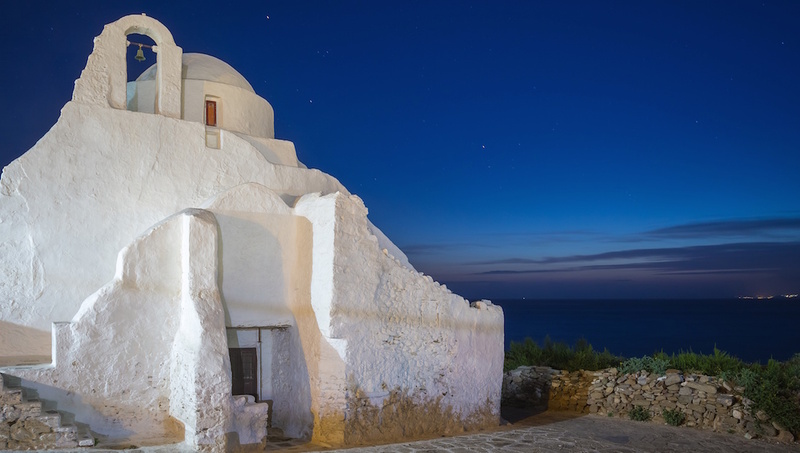 Mykonos is a quiet town, but there's plenty to do at night. Local laws on noise pollution are strict, which means you can't follow the music to find a great spot -- you need to know where you're going. Scandinavian Disco is a popular club and meeting point, but be aware, Europeans start to party late, so many won't get busy until after midnight. You'll get the beaches to yourself in the spring and fall when temperatures are also not as high as in the summer, but nightlife peaks in July and August.